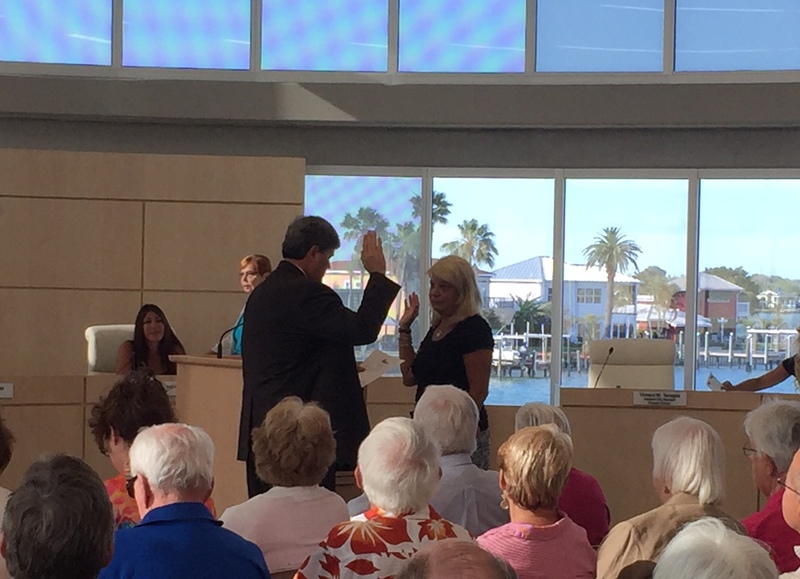 The first public meeting with the newly elected Madeira Beach commissioners on Tuesday was combative after a vice mayor protocol was broken and a motion to fire the City Clerk met heated resistance from the City Manager. 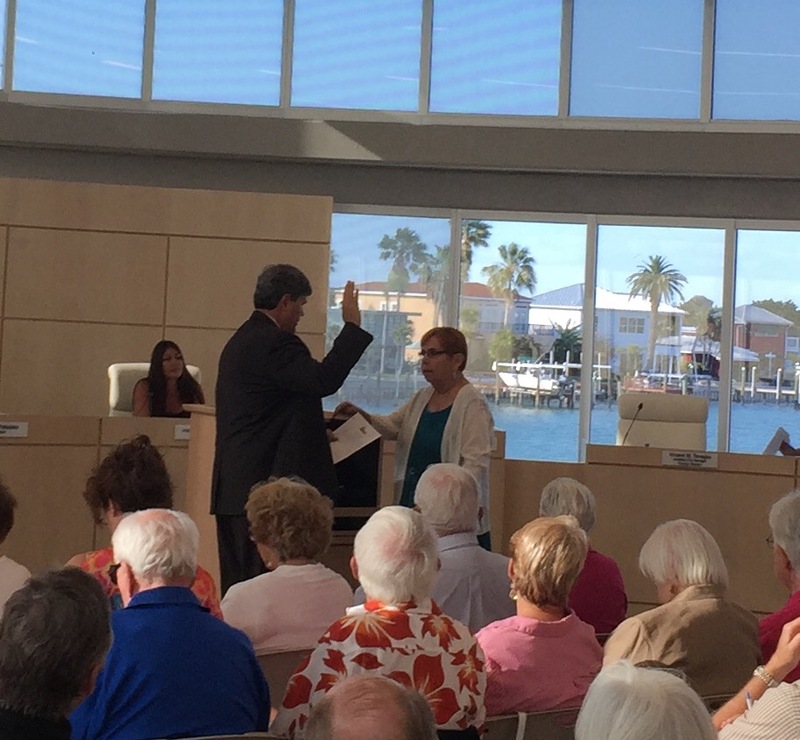 Shortly after Mayor Maggi Black, Commissioner John Douthirt and Commissioner Nancy Oakley were sworn into office, they offended the two incumbent commissioners, Terry Lister and Nancy Hodges, by voting to make Douthirt the new vice mayor. Lister was upset the trio broke a City tradition. 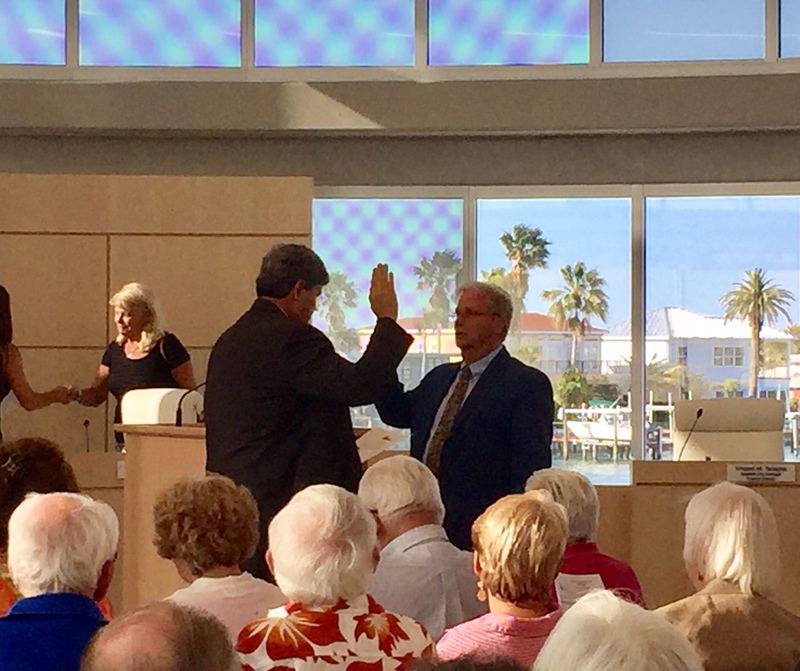 Black and Oakley said they felt Douthirt should be vice-mayor because he represents district 4, and the last commissioner to represent that district did not finish his term. Just days before the election, a judge found the process to appoint Housh Ghovaee as district 4 commissioner violated the Sunshine Law. Lister shot back at Oakley and reminded her of the protocol that has been in place for several years. During the campaign, Black said her lack of experience in city government set her apart from her opponent. During the first public meeting that Black had to chair, her lack of experience was glaring. “Madam Mayor, you missed approval of the minutes,” said City Manager Shane Crawford. The meeting got heated again when Oakley made a motion to fire City Clerk Cheryl Crawford, the City Manager’s wife. Shane Crawford then asked Oakley what her back up plan was for filling the job. Oakley said she wanted the deputy clerk to take over. Crawford pointed out that the deputy clerk is young, not certified and does not want the job. Black said she wasn’t comfortable having the City Manager and City Clerk be a married couple. The City Attorney said it was, in fact, both legal and ethical, but the commission could pass a nepotism law similar to other cities. The City Clerk told the commission she felt the motion to fire her was done for personal reasons. Lister agreed it was personal and not professional. Oakley withdrew her motion to fire the City Clerk, and asked to discuss opening up the position for applications at their next workshop meeting. Some residents in attendance at the meeting were clearly unnerved by what they saw from their city’s leadership. 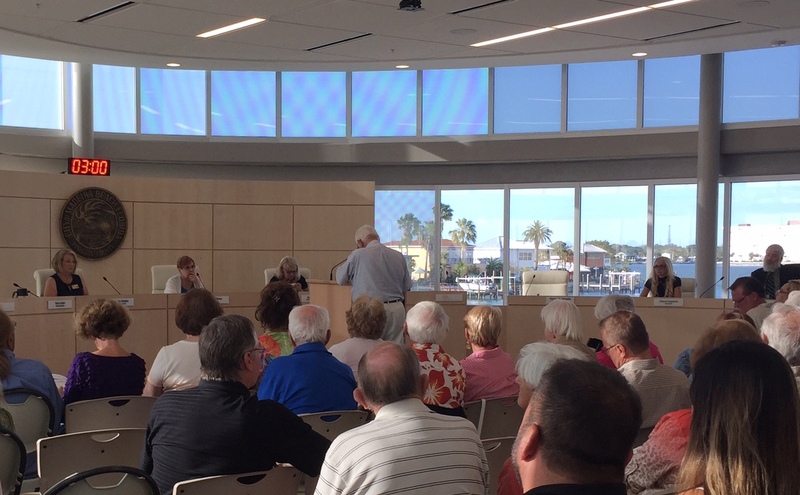 Other residents, however, did voice support for the new commissioners. One woman even brought roses. 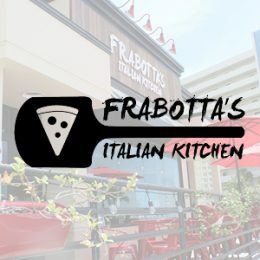 “We were dissatisfied with the way things were before,” said Debbie Weinstein. “First time the little guy can be heard in Madeira Beach,” said Renee Krupp. My biggest disappointment at the meeting is not bidding a nice farewell for the outgoing commission. Travis had served for the past 6 years … the New Commission didn’t recognize him or thank him for his time. Even if you do not agree with their viewpoints doesn’t discount the work and time put in to make Madeira Beach the best it can be.